Today, the minimum security and compliancy requirements for any business are far beyond the adoption of anti-virus and a firewall. Assure your IT environment and confidential data is securely stored behind a strong authentication and not just a simple login and password. These are too easy to break. With Multi-factor authentication, you authenticate with something you know (your password), something you have (e.g. a token generated key) and something you are (your login name). Encrypting data you send over the public internet is an absolute minimum. Chances for non-encrypted data to be fetched and abused are real. All traffic should be covered in HTTPS, where the ’s’ stands for secure. Practically, it often comes down to using an ‘SSL certificate’. This is based on an asymmetric system with two ‘keys’ to encrypt communications: a ‘public’ key and a ‘private’ key. Knowing where your sensitive data is also means getting control over shadow IT. All too often, IT departments reduce employee flexibility that much (e.g. sharing of large documents by email) that employees will reside to alternative paths: Gmail, WeTransfer and this is where businesses lose track of their (confidential) data. By May 2018 all businesses in the European Union must comply with GDPR. But also beyond the EU, similar regulations are in place or on their way. GDPR goes far beyond IT, but IT will be required as a supporting and enabling role. Built-in into Awingu comes a ‘one-time password’ generator that can be coupled with the ‘Google Authenticator’ app on a smartphone. Awingu also offers built-in integration with ’Let’s Encrypt’ a free SSL certificate service. Other MFA services can be integrated, and so is the use of own SSL certificates. Awingu runs inside the browser. As such, there is no local data on the device (if you don’t want to). This is obviously a big benefit from a security and compliancy point of view. Awingu can aggregate legacy apps, SaaS and documents. All logins are routed via Awingu. Furthermore, Awingu offers built-in the ability to share documents (that includes large ones) in a secure and controlled way. Awingu will give a real-time and historical view on who has opened what application, when and where. Anomaly detections in usage behavior are furthermore reported and flagged. Smart online workspace will optimize the user-experience based on the users’s context, e.g. push a mandatory “strong authentication”when logging in from outside the company network. Awingu and SMARTdoc have decided to set up a technology and commercial partnership. Through this partnership, SMARTdoc’s document management platform can now be accessed via the browser of any device, while being integrated in the unified and online workspace of Awingu. 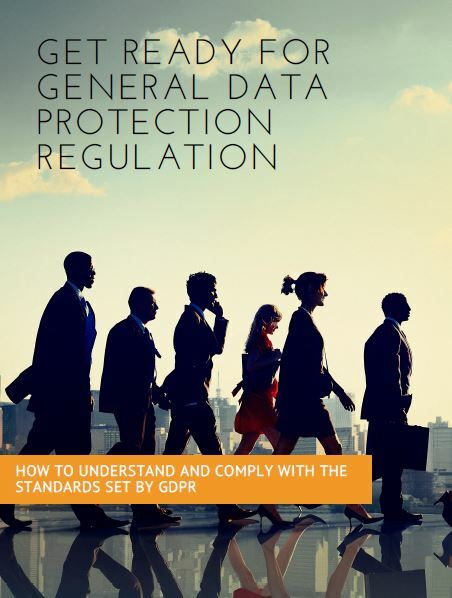 Fill in the form below and find out how to understand and comply with the standards of General Data Protection Regulation. Note: the details for the download of your selected content will be sent to above email address. Click here to read about how we deal with GDPR.